When traditional medicine fails you, it’s time to look for something different. At Ascent Adaptation, we bring you BallancerPro – a state-of-the-art device that does for your body what no other clinical procedure will succeed in doing. From diet to workout routine to disease prevention and sustained mental activity, everything will participate in protecting you against a multitude of physiological threats. But that doesn’t mean that these strategies are flawless. When considering how many health problems you may encounter throughout a lifetime, you see why things will not always go in your favor. We have adopted a technology that we believe represents the next step in both alternative medicine and the health industry as a whole. While still in its early stages of success, the device has changed the lives of many people so far, thanks to its innovative mechanism and outstanding results. The principle behind this revolutionary technology is simple enough – trigger the body’s self-healing mechanisms and deliver fast and long-lasting physiological benefits. The device operates based on strategic compression, much like any professional massage therapy. The difference is that our system stimulates the lymphatic system, triggering the body’s self-regenerative mechanisms for immediate benefits. Activating the metabolic burn – BallancerPro enhances your metabolic rate, which will allow your body to perform more effective weight management. A more active metabolism will help flush the toxins from your organism more effectively as well. Boost the blood flow – The blood has many functions, including transporting oxygen and nutrients to organs and muscles, as well as removing carbon dioxide and toxins from the system. An improved blood flow will also accelerate the body’s healing mechanisms during injuries or in the post-surgery period. Relieving physical stress and pain – If you suffer from joint or muscle aches, our technology could work wonders in your case. Thanks to activating the body’s regenerative processes, the technology we’re using eliminates muscle and joint soreness, reduces the inflammation and lowers the levels of lactic acid. How to heal from injuries faster? An optimized diet, rest, and professional intervention – these are the three core strategies that you should resort to in case of need. It’s not just professional athletes that struggle with physical injuries, but regular people as well, which makes this a universal problem. While your body knows how to deal with these issues on its own, it often needs an outside boost to get things done faster. This is where our BallancerPro comes in to change your life. It is a comfortable device, part of a groundbreaking therapeutic technology that we believe it represents the next step in the health-prevention-and-recovery department. 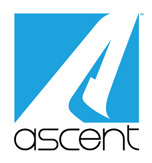 Ascent Adaptation is here to change lives, and it does so with every patient that walks through our doors.